LG V30 is definitely the best flagship phone of LG in the year 2017. After LG G6 & LG V20, this phone is really a great relief for LG lovers as it has come up with some great additions, offering competition to the existing and maybe upcoming smartphones in the market. The LG V30 is a bezel-free device with many next-generation features. With prime focus on audio and videography, the phone lives to the true spirit of smartphones. There is no doubt that experts have already declared it as one of the best and most powerful smartphones of the year. What was started by LG G6 is taken to another level by V30 as it boasts to be the slickest phone of LG so far? Following the trend, LG too has said goodbye to the bezel and has warmly welcomed screens that spread from corner to corner of the phone. With curved rear and sides, the phone is extra comfortable to hold and use. Despite 6-inch display, the phone appears super compact as well as handy with just 156 grams weight. To ensure a scratch-free usage, LG offers Gorilla Glass protection on both front and rear end. There is a fingerprint sensor at the back of the device which acts as a lock button. With all these design features, the LG V30 will be available in four colors- shiny black, blue-tinged silver, darker blue and deep purple. LG ventures in the OLED screen market with its newest smartphone. LG V30 has an OLED panel that enhances the user experience by offering vivid colors with extra details. The screen size is 6-inch 2880 x 1440 ‘Full Vision’ HDR 10 and it is surely better than LG’s previous phones. LG has also come up with an advanced ‘Enhanced Colour Mode’ that enhances the quality of a non-HDR file by adding a faux-HDR look. LG V30 is befitted with all latest features including Snapdragon 835 SoC, 4GB of RAM and 64GB / 128GB internal storage. Operating on Android 7.1.2, LG V30 is way faster than other members of its clan. It also has an improved battery saver mode, innovative new icons, and a well-placed notification bar. 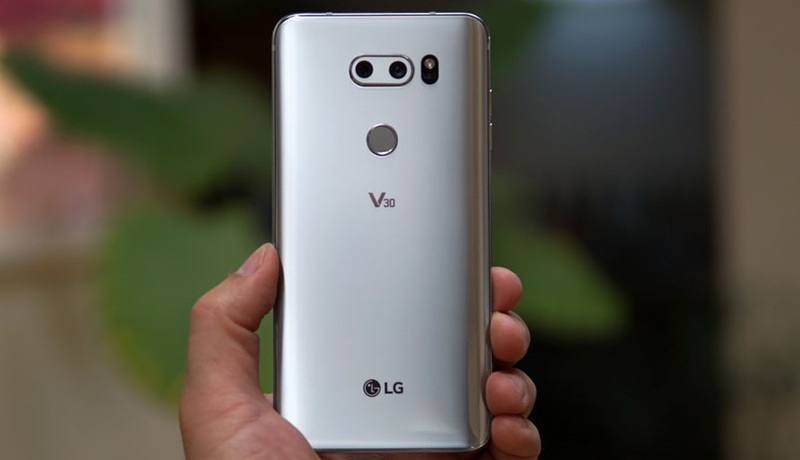 There is speculations that the company will try Android 8 in LG V30 by the end of this year. The camera of LG V30 is probably the most striking feature of this phone. With a two camera setup in the rear, LG V 30 is a boon for the photography enthusiast. The main camera is 16 megapixel and the other one is f/1.9 lens aperture for low light photography. The camera offers 120-degree field view photography feature. Next, comes the videography option wherein you get a variety of features to explore your skills. The best feature of all is LG Cine Login which you can use a variety of pre-made filters to color grade your videos. There are total 15 filters in V30. It also has a ‘Point zoom’ feature that let you click zoomed in pictures while locking the object in sight. The front camera of the phone is 5 megapixel. LG V30 is befitted with a 3300mAh battery. The battery size is same like its sibling but LG V30 has a more efficient CPU that is likely to help it perform better. 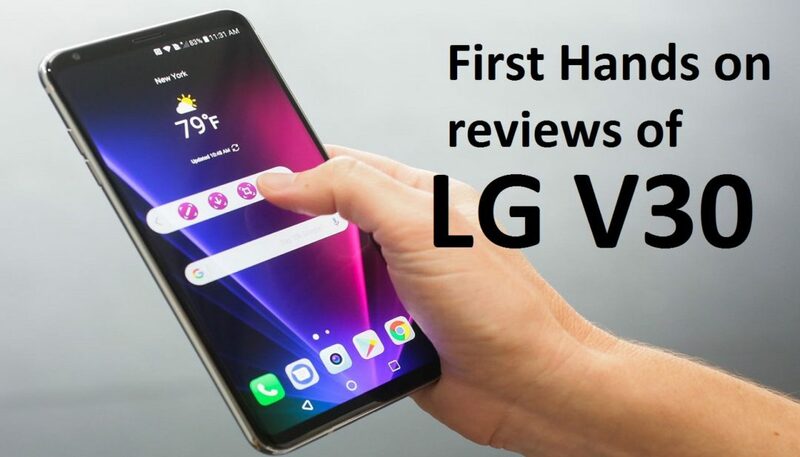 Overall, LG V30 is a gorgeous phone with powerful features and surely one of the best creations of LG. 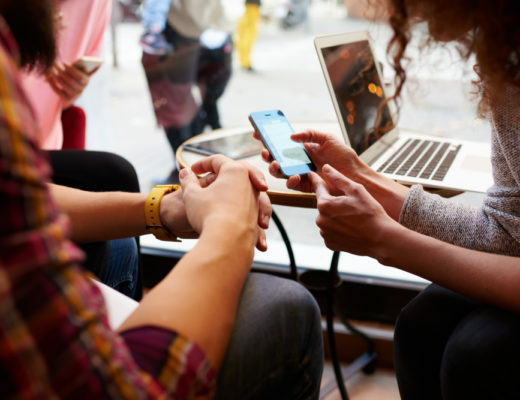 The phone is going to stay in the market and offer a tough competition to many reputed brands.